Composer and pianist Marvin Hamlisch (b. June 2, 1944) is one of only twelve persons in history who have won in all four categories of major US performance Awards: the Emmy® (four of these), the Grammy® (four), the Oscar® (three) and the Tony®. He is one of only two who have received a Pulitzer Prize (for A Chorus Line) on top of these; the other is Richard Rodgers. Marvin Frederick Hamlisch is the son of Viennese Jewish parents; his father was a bandleader and accordionist. At the age of five Marvin was picking out radio tunes on the piano, and by the time he was seven he had been accepted at the Juilliard School of Music – the youngest ever. His first professional job was as a rehearsal pianist for Barbra Streisand in Funny Girl. He had a hit song in 1965 with “Sunshine, Lollipops, and Rainbows,” sung by Lesley Gore, and followed it with “California Nights” (co-authored by Howard Liebling) in 1967. Meanwhile Hamlisch was attending Queens College at night, earning his Bachelor of Arts degree in 1968. Movie producer Sam Spiegel, who often hired Marvin to play the piano at his parties, pulled some strings to get him his first assignment to write the full score to the Burt Lancaster film The Swimmer (1968). Hamlisch also contributed some music to early Woody Allen films, like Take the Money and Run (1969). 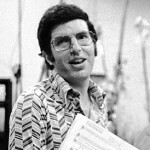 Hamlisch’s career as a composer peaked in 1974, when he won three Academy Awards® and four Grammys® for the scores to The Way We Were (1973) and The Sting (adapting Scott Joplin’s “The Entertainer”). More hits followed: on Broadway, A Chorus Line (1975) was a smashing success, winning him a Tony Award® and the Pulitzer Prize. It was to run continuously until 1990 and revive for two more years in 2006. The song “Nobody Does It Better” (co-written with Carole Bayer Sager) from the score to the James Bond film The Spy Who Loved Me (1977) was nominated for an Oscar®. The 1980s were less rewarding: the film scores for Ordinary People (1980) and Sophie’s Choice (1982) met with some success, and a song in the 1985 film version of A Chorus Line was nominated for an Oscar®, but Hamlisch won no more awards in performing arts until the mid-’90s. The musical Jean (1983) failed in the United Kingdom and did not reach the US. In 1986, Smile lasted only five weeks, but its song “Disneyland” made an appreciable mark. Among Hamlisch’s other Broadway scores are those for They’re Playing Our Song (1978), The Goodbye Girl (Tony® nomination, 1993), Sweet Smell of Success (2002) and Imaginary Friends (2002). He has composed for more than forty films, including Save the Tiger (1973), Ice Castles (1978), Three Men and a Baby (1987), Bananas (1971), Little Nikita (1988), Shirley Valentine (1989), and Frankie and Johnny (1991). Hamlisch was Musical Director and arranger for Barbra Streisand’s 1994 concert tour of the United States and England, for the television special “Barbra Streisand: The Concert,” for which he received two Emmys®, and for Streisand’s Millennium concerts. He has served, or is currently serving, as Principal Pops Conductor for several major orchestras nationwide, in Pittsburgh, Buffalo, Milwaukee, San Diego, Seattle, Denver, and at Washington’s Kennedy Center. In 2007 Hamlisch was inducted into the Long Island Music Hall of Fame and received a Q Award from Queens College, presented to alumni who have served as role models. He married his wife Terre in 1989; they live in New York City.